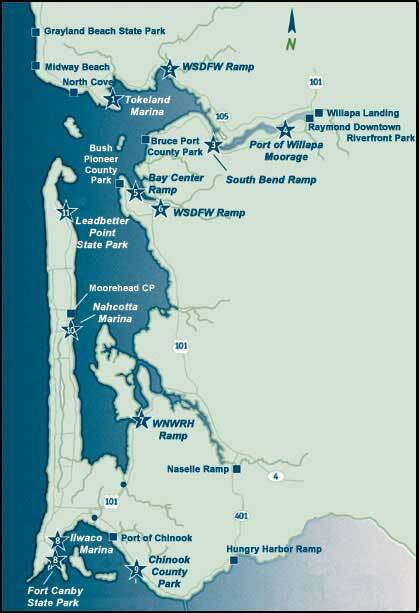 This southwest Washington water trail is unique and remote, abutting some of the most beautiful spots on the Bay’s shoreline and opening onto the broad wildness of the Pacific Ocean. 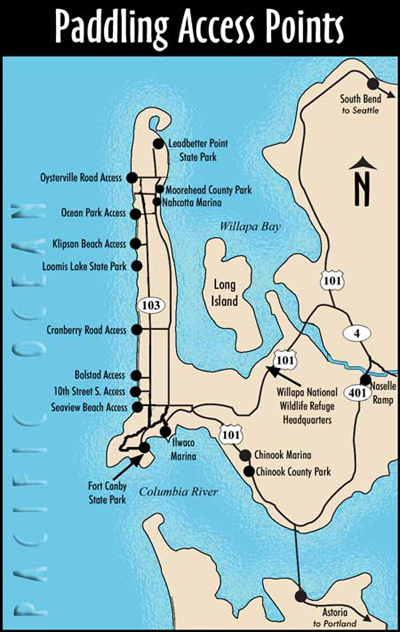 There’s something for all water lovers from sandy beaches, dune grasslands, coastal pine forests, and wildlife at play to opportunities to explore industries of old and vibrant modern communities. Be aware of the tides. At low tide approximately one-half of the water is gone from the Bay, leaving an amazing mud flat. Becoming stuck or stranded can be a serious safety hazard. Always carry a tide book and plan your trip accordingly.